HA: Elisabeth, welcome back to Homeschool Authors. Elisabeth: Thank you! I’m happy to be back here again. HA: What inspired the stories in this book? Elisabeth: Oh, a variety of things. Some developed from just tossing plot ideas around in my mind; “Angel Unawares” and “Disturbing the Peace” both began with a scrap of something from a dream. The one with the most unusual inspiration, though, is “The Ranch Next Door.” I’m a big fan of the famous Western singing group the Sons of the Pioneers. One of their chief songwriting members, Bob Nolan, wrote several hundred songs, including some considered “lost”—the titles were registered for copyright but no recordings or sheet music have survived. I saw the title “The Ranch Next Door” on a list of these songs one day, and it started me wondering. What was so special about the ranch next door? Before I knew it, I was thinking out a story to fit it. HA: What is the most encouraging review you have received so far on this book? Elisabeth: Probably the review I received from the Western Fiction Review blog. Coming from a reviewer whom I wasn’t previously acquainted with online, and someone who focuses specifically on Westerns and reads many of them, the warm praise was particularly gratifying. HA: When you are not writing, what do you enjoy doing? Elisabeth: Well, a lot of reading, naturally! I love music—I listen to it a lot, sing, and play a bit of piano and harmonica. I enjoy crocheting and needlepoint; I like watching old movies and sports (football and basketball), and spending time outdoors—swimming a lot in the summertime, and going for long walks whenever the weather permits at any time of the year. HA: What do you plan to read this summer? Elisabeth: As a matter of fact, I shared my whole summer reading list on my blog a couple of months ago. I just finished Until That Distant Day by Jill Stengl, which was excellent. Some books I’m looking forward to reading are National Avenue, the only book in Booth Tarkington’s Growth Trilogy that I haven’t caught up with yet; Five Came Back: A Story of Hollywood and the Second World War, which looks like an interesting piece of historical nonfiction; and a couple that I’ve seen recommended by lots of online friends: The Guernsey Literary and Potato Peel Pie Society and Dear Mr. Knightley. Yes, I do have pretty eclectic tastes. HA: What are some of your favorite books of all time? Elisabeth: Well, I think my Goodreads favorites shelf probably answers that question pretty thoroughly. HA: Can you give us a sneak peek into your work-in-progress? Elisabeth: My summer project is going to be re-editing Corral Nocturne, a Western Cinderella-retelling I wrote last year for Anne Elisabeth Stengl’s Five Glass Slippers contest. I’ve decided to rewrite and expand parts of it a bit, and hopefully publish it later this year. Here’s my Pinterest storyboard for the project, if you’d like to take a peek. 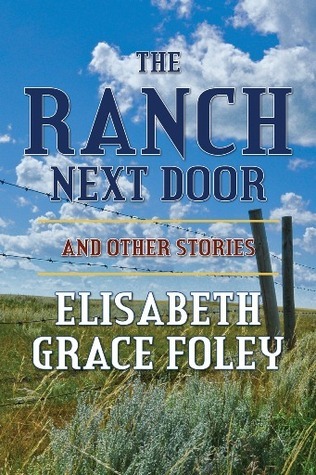 HA: What should readers expect when they read The Ranch Next Door and Other Stories? Elisabeth: The stories are very much in the traditional Western mold, so readers who are already Western fans should feel right at home. But they aren’t just action-based shoot-’em-up Westerns; they’re built around character and conflict and the human interest at the heart of the story—so readers who like any historical fiction, or simply like a good story, should enjoy them too. They are also all-ages-appropriate, without being overly simplistic. HA: Do you have any final thoughts? Elisabeth: I see and hear a lot of people say “I don’t read Westerns,” maybe more than they say it about any other genre. I can understand how the genre has gotten a bit of a clichéd shoot-’em-up reputation. But there is room in a well-written Western for just as much genuine drama and humor and conflict as in, say, a well-written fantasy novel. I’d encourage historical-fiction lovers in particular to look for the quality Westerns out there and give them a try. Thank you for hosting me here, Sarah! It’s been a pleasure. Get The Ranch Nextdoor for only $0.99 this week! Ah, the Sons of the Pioneers! Not many from our generation even know that they existed, or that Roy Rogers was one of them. I have a fondness for them from having been raised on black and white cowboy movies. Lovely interview, and I really appreciate your view on western literature, very refreshing. Thanks for sharing.